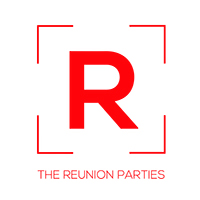 The Reunion Parties does not offer refunds or exchanges of tickets purchased on our website, unless a cancellation of the event occurs. Tickets purchased through The Reunion Parties may be subject to a per-ticket service fee. If you are experiencing difficulties with purchasing tickets please contact technical support at support@thereunionparties.com or call 323-646-8615. Tickets will not be mailed. After the purchase is made, the customer will receive a confirmation email with attached e-tickets. Guests are required to bring a printed copy of the electronic tickets and a valid photo I.D. to the front door of the venue to be granted entrance. For guests that don't purchase tickets online, there will be a limited amount of tickets available for purchase at the door approximately one hour before the start of the event. If an event is listed as sold out then it genuinely means no tickets are available. We reserve the right to decline entry due to capacity issues. Early arrival is strongly encouraged. Visibly intoxicated guests will not be admitted to the venue.